Under new editorial direction, Advances in Agronomy both continues its long tradition and expands to include innovative methods and technologies. Leading international scientists cover topics in plant and soil sciences, biotechnology, terrestrial ecosystems, and environmental concerns. This volume presents three articles devoted to plant productivity and improvement and three articles devoted to advances in soil science. This and future volumes will be of interest to agronomists in academe, industry, and government. 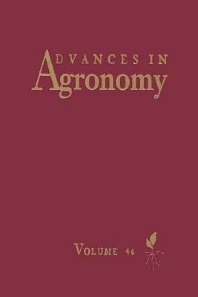 The field of agronomy has changed greatly since the publication of the first volume of Advances in Agronomy in 1949. Many innovations and advances have occurred, yet many challenges remain. AUDIENCE: Researchers and students in agronomy, crop and soil science, environmental science, molecular biology and genetics, biotechnology, agricultural engineering, botany, horticulture, and forestry (university, industry, and government).